Obama, Romney On Taxes: Similar Plans, Few Details Both President Obama and Republican Mitt Romney agree: America's tax system is too complicated. Both men have outlined changes that are broadly similar, although they have some important differences. But both candidates run for cover when asked about the tax breaks they want to eliminate. Both President Obama and rival Mitt Romney say the tax code is too complicated. But they haven't been specific about which tax breaks they want to eliminate. Here's something President Obama and Mitt Romney agree on: America's tax system is too complicated. Both men have outlined changes that are broadly similar, but with some important differences. Today's tax code is like a department store, where the price tags are high, but there are lots of coupons, sales and weekend specials. That creates some inequities. Just as shoppers can pay different prices depending on which day they buy, taxpayers with the same income can pay very different rates depending on which deductions they qualify for. Tax breaks can also distort behavior the same way sale prices do. Would you really buy all those turtlenecks if they weren't 40 percent off? Would you really buy that McMansion if you couldn't deduct the interest payments? Reformers like Eugene Steuerle of the Urban Institute say the tax code would be both fairer and more efficient if it were more like a discount store, with fewer sales but everyday low pricing. "There's broad agreement among economists from left to right that if you can broaden the tax base and lower tax rates, that would be a better tax system," Steuerle says. There's broad agreement among economists from left to right that if you can broaden the tax base and lower tax rates, that would be a better tax system. Steuerle worked at the Treasury Department during the last big tax overhaul in the 1980s, when policymakers lowered tax rates dramatically and did away with numerous tax breaks. Since then, little by little, tax breaks have crept back in — and today, both Obama and Romney say it's time for another housecleaning. Despite their superficial agreement, though, Tax Notes columnist Bruce Bartlett says the two men approach a tax overhaul with very different goals: "For Republicans, it really only means one thing, and that is lowering statutory rates. ... When Democrats talk about tax reform, I think they're mainly concerned about the distribution of taxation and ... to get the wealthy to pay a larger share. So clearly there's an enormous gulf between their two perspectives." Romney's tax plan is mostly about lowering rates, though he would also eliminate loopholes so the amount of money the government collects stays the same. Obama's plan, on the other hand, is designed to raise more money to bring down the deficit, with lower tax rates thrown in as a sweetener. But here's the thing about the so-called loopholes in the tax code: They're not just for the superrich with secret bank accounts in the Cayman Islands. Berkeley economist Laura Tyson, who sits on a couple of White House advisory panels, notes that the two biggest tax breaks are for interest payments on home mortgages and the tax-free health insurance that many workers get from their employers. "If you end up with a tax reform which significantly cuts something like the mortgage interest deduction, you're going to hit a lot of middle-class families," Tyson says. That's why both candidates run for cover when asked about the tax breaks they want to eliminate. On 60 Minutes, Scott Pelley pressed Romney: "The devil's in the details, though. What are we talking about? The mortgage deduction, the charitable deduction?" Romney replied: "The devil's in the details. The angel is in the policy, which is creating more jobs." Obama was similarly evasive when NPR's Steve Inskeep tried to pin him down back in 2010. Inskeep said: "Your deficit commission talked about lowering everybody's tax rate and eliminating deductions, such as changing the home mortgage deduction and many other deductions as well. That's the kind of plan you're talking about?" "Well, I have not specifically endorsed that plan," Obama responded. Obama said at the time he wanted to start a public conversation about a tax overhaul. But the conversation hasn't gone very far. Steuerle of the Urban Institute says politicians know better than to call for higher taxes on the middle class. "To be fair to them, that's partly because we the public, as voters, really penalize the candidates when they start identifying who's going to pay for government," Steuerle says. Tyson says Obama tried to thread this needle by leaving tax breaks in place for middle-class families while limiting deductions available to the very wealthy. "That proposal really went no place politically, either among Democrats or among Republicans," she says. "The president has proposed that again and again." Given the difficulty of fixing the individual tax system, Tyson says policymakers might start with a more modest effort to rewrite the corporate tax code. But Steuerle has his sights set higher. Steuerle says no matter which candidate is in the Oval Office next year, he will have to tackle the deficit or have little money left to spend on any of his other priorities. 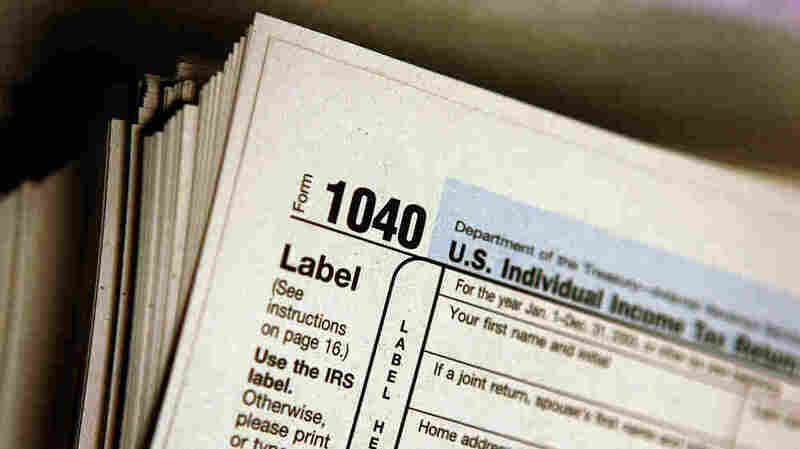 Steuerle thinks that could provide the impetus to do the hard work of a broad tax overhaul. "Sometimes you finally get the person to go to the dentist when the pain from not going to the dentist is greater than the pain from going," he says. So far, though, it's been getting the candidates to talk specifics that has been like pulling teeth.